I love this couch! 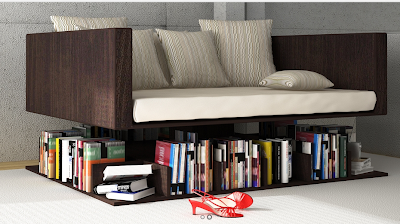 It would certainly take care of the piles of books around my present sofa. 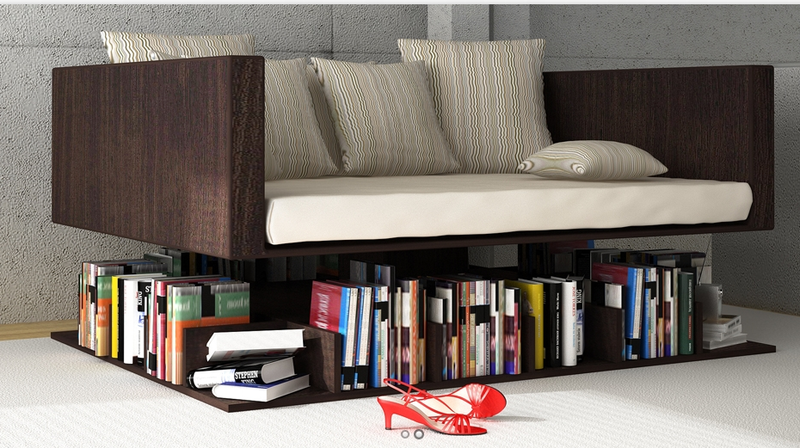 I've posted chair/bookshelves, but this sofa really seems to float above the books.